This traditional Istrian stone house is located in a small village and offers ideal conditions for a relaxing family holiday. This traditional Istrian stone house is located in a small village and offers ideal conditions for a relaxing family holiday. The advantages of this holiday home are the sprawling green surroundings and the beautiful outdoor pool. The house was renovated and the interior was tastefully decorated during the renovation. On the ground floor, there is a living room, a kitchen, a bathroom and a bedroom. The internal staircase leads to the first floor, which has a covered terrace and the master bedroom with a bathroom. Do visit the nearby town of Vodnjan, with its many shops, restaurants and other attractions! This beautiful villa is made from brick or stone and was originally built in 1930 and refurbished in 2011. The agent has rated it as a four star property so it is a well-equipped villa with above average furnishings. It is also great value for money. 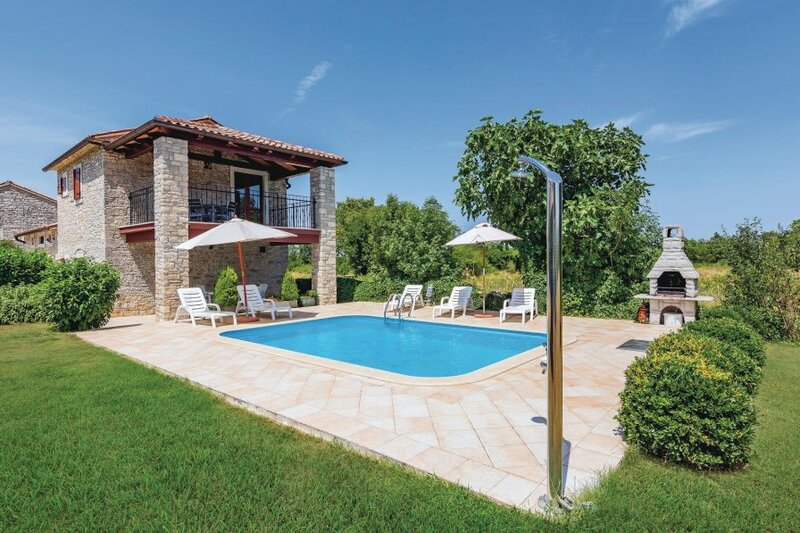 This villa has a swimming pool and is located in Orbanići, 20km from Pula. It is set in a good location: there is a restaurant 5km away.